Do You Need Insurance For Your Rental Business? Rentals are a $52 billion dollar industry. With the US administration’s current tax and regulatory climate, the rental equipment sector is set to grow, with the market size estimated to reach a staggering $59 billion by the year 2021. Companies like United Rentals and Hertz Equipment Rental Corp are raking in billions of dollars annually, and with tough competition from Japan and the UK, insuring against failure is more important than ever before for these businesses. Of course, the smaller your business, the greater the need to mediate the risk of failure. One way to do this is to protect yourself against insurance liabilities from the very start. Insurance in general can be a complicated subject for first-time business owners. Knowing what to expect about the process can help you navigate inevitable claims and liabilities a lot more effectively. This blog will give you an overview of insurance for rental businesses, and provide actionable advice so you have greater control over your business. As a rental business owner, there are two types of insurance you should be concerned with. The first is where you insure your equipment against damage or theft. and the second where you require renters to show proof of their own insurance before you’re able to rent out to them. Let’s take each of these in turn. Rental businesses need all kinds of insurance, whether it’s protection for their equipment, or protection from the actions of their customers. As an example, Liability Protection is a kind of coverage that insures companies against damage or injury caused to others by their equipment, at the hands of a customer. Of course, there is no correct ‘combination’ of insurance. The number, value, and kind of insurance you end up with will always be a function of your own budget, workflow, and personal preferences. Renters often require insurance in order to use certain kinds of rental equipment. As an example, say a customers rents out a truck for a long-distance delivery job. Before the rental company can do business with them, the customer would need to confirm whether their own auto insurance covers their use of this vehicle. Often, the rental business provides short-term insurance to customers themselves. This not only makes the process a lot simpler for the renter, but also allows the business owner to obtain a Certificate of Insurance, strengthening them against liability. Most rental businesses no doubt have no-liability waivers, extensive rental agreements, or even Hold Harmless clauses. However, this does not mean that they are fully protected! As a rental business owner, you must look into industry conventions and pick an insurance that will help you minimize risk in the long term. Some of these are specific to working in the rental space, while others would be a good idea for any business to have. Let’s go over a few options for insurance for your rental business, and see what they’re all about. General Liability: This provides legal and financial coverage if the company is responsible for injury or damage to a person or property. This type of insurance will settle the claim up to a certain extent, based on a pre-determined agreement. Property Insurance: This is a broad category, and covers everything from commercial property to all the contents inside it. This can range from heavy equipment to inventory. This type of insurance is popular because of how customizable it is. Workers’ Compensation: This covers a business in case an employee is injured on the job. The insurance would partially cover both the employee’s salary, as well as any money going towards settling expenses associated with the injury. This could include lawsuits. Conversion Insurance: This is a common type of insurance taken out by companies, as it protects your business against theft by a customer. ‘Theft’ in this context refers to cases where customers willingly or otherwise neglect to return equipment to the company. Business Income Insurance: Similar to the Loss of Use coverage, this insurance covers the loss of rental orders arising as a result of damage to your property or business assets. This means you can safely suspend operations as you work towards getting your business up and running again. Of course, if things go well, you might not even make use of your insurance cover. However, it’s best to be prepared for all eventualities. With that in mind, let’s go over some helpful ways of finding and utilizing this coverage. All companies are different, and rental businesses even more so. A heavy equipment rental business renting out excavators and cranes will have completely different challenges compared to a party rental company renting out tents and linens. This is why you need to thoroughly understand the logistics of your business before you even think about taking out insurance. As an example, the paperwork and regulations for rental car insurance are very different from the same for inland marine coverage. Therefore, you must make an effort to explore your context extremely well. It is really important that you develop best practices around the management of your rental company. For example, renting out certain construction equipment necessitates the provision of operators with prior training. If you have a set of best practices around this – either in training these operators, or being able to acquire certified professionals at short notice – you’re much more likely to have an easier time finding insurance. Having accurate records and optimized maintenance cycles can also help you out in this scenario. 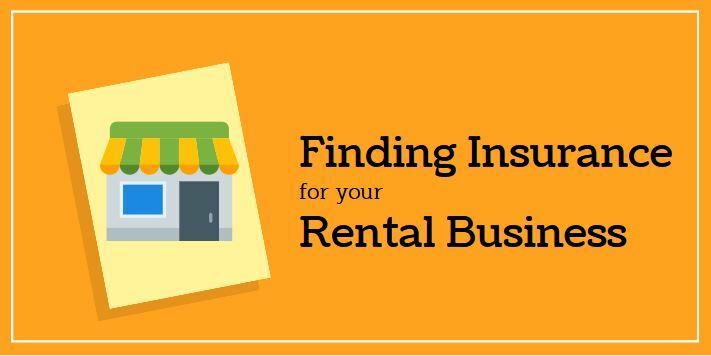 This is one of the main mistakes you can make when looking around for insurance for your rental business. Companies often don’t shop around for insurance – both in terms of agents as well as the insurance type. There can be a degree of overlap in different kinds of insurances, and agents often offer distinct combinations of coverage. You need to look around and ask the right kinds of questions – how much insurance is it mandatory for you to carry, what your sub-limits and deductions will be, and even questions about the methods through which your assets will be valued. You can’t go into insurance without knowing your own liabilities towards your employers and customers. For example, you should know if some of your equipment is likely to exceed certain temperatures and potentially become a fire hazard. As another example, you should be able to anticipate the number of subcontractors at your organization, so you can take out the right kind of sub-coverage against them. Missing important details like this can lead to greater overheads and even lawsuits. It’s only when you’re aware of your own responsibilities within this context that you can make the best decision regarding insurance. The rental industry is tough. In this sector, demand can be unpredictable, administrative overheads high, and the competition fierce. 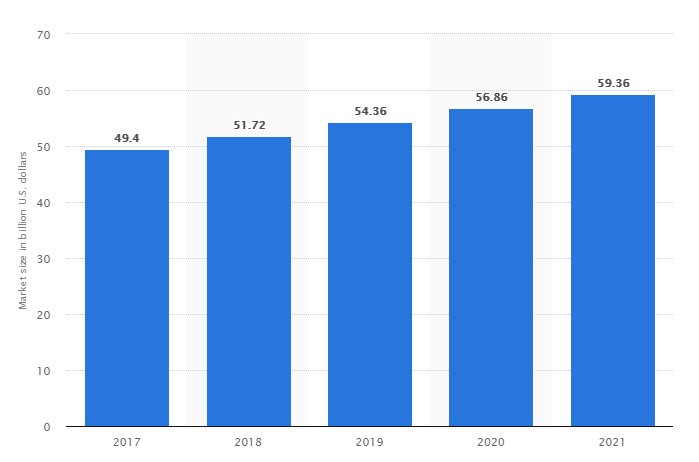 Add to this the risk associated with the initial capital investment, the expense of customer acquisition, and logistical challenges such as mapping out deliveries, and you’ve got a tall task ahead of you! As a rental business owner, one way to work your way through these insecurities is to ensure that your investments add the most value they can to your organization. This could include maintaining your rental equipment, tracking your orders, and insuring your rental equipment. The latter, especially, can give your company a great deal of control and stability over its operations. Not only can you recoup financial losses this way, but you can also ensure that your business reputation is safeguarded from the mistakes of customers and employees alike. We’re EZRentOut, an online rental software used by thousands of rental companies to manage customers, orders, and payments from one centralized location. If you want any questions answered, get in touch at support@ezrentout.com. This entry was posted in [Tips and Trends] and tagged Insurance by admin. Bookmark the permalink.